Research on the risk of lung cancer and mesothelioma from asbestos exposure has been widely conducted in countries of the European Union such as the United Kingdom, France, Italy, The Netherlands, Sweden, Finland, Denmark, Germany, and Austria. These studies greatly contributed to the elucidation of the carcinogenic risk among groups of occupationally exposed workers. More recently, research has been conducted on additional aspects of the carcinogenic effect of asbestos, namely, the current trends and future course of asbestos-related cancer mortality and the role of risk factors other than asbestos. A workshop on on-going and future projects on asbestos-related diseases in Europe was held at the French National School of Public Health, Paris, on 4-5 December 1997. Thirty-five researchers from 12 countries (see the list of participants at the end of this report) discussed current topics in asbestos research and identified research needs for future epidemiologic studies. This report summarizes the major topics discussed at the workshop and presents the recommendations for future research at the European level. While the primary focus was on the issue of predicting the future burden of asbestos-related cancer, several other relevant issues were also addressed. A few of the meeting presentations addressed recent trends in mesothelioma mortality and incidence in Europe. Merler reviewed current trends in mortality due to primary pleural cancer [code 163 of the International Classification of Diseases, 9th revision (ICD-9)] in western Europe from 1968 to 1994 in individual countries and in groups of countries. Among men in most countries, a clear increase in mortality is observed with a common pattern. The age-specific mortality rates increase exponentially with age and the birth-cohort-specific risks show a steady increase with the highest risks in the birth cohorts after 1945. However among women, at best, only a slight increase in mortality is observed, and mortality patterns differ substantially among western European countries. In some countries the birth-cohort-specific risk has increased steadily over time but more often the risk appears to be constant or even decreased over time. The time trends in pleural cancer mortality among men and the differences in pleural cancer mortality between men and women are consistent with time trends in the use of asbestos in different countries and with gender differences in occupational exposure to asbestos. For the cohorts of men born after 1945, a decreasing risk is emerging in the Nordic countries and in The Netherlands, and this trend suggests that the reduction of exposure achieved in the past in these countries is starting to show an effect on mortality from pleural tumors. In the discussion it was pointed out that trends in pleural cancer mortality across Europe are difficult to compare since the ICD-9 category 163 may not reflect the true incidence of malignant pleural mesothelioma. In a few countries it has been demonstrated that many pleural mesotheliomas are not coded 163 and that a substantial proportion of deaths coded 163 are not pleural mesothelioma. Moreover, the correspondence between primary pleural cancer and malignant pleural mesothelioma may have been subject to changes in diagnostic practices and registration and coding procedures. Hence, studies that link information from cancer registers to death certificates in order to ascertain the proportion of pleural mesotheliomas coded ICD-9 163 in the different national death registers should be encouraged. As an alternative, data from cancer registers could be used to describe recent trends in morbidity and mortality from pleural mesothelioma. Although case ascertainment is more reliable in a cancer register, an important drawback is the fact that most registers were established only recently. The experience from the German Mesothelioma Registry, reported by Fischer, illustrates that the occurrence of mesothelioma among men and women aged 70 years or over is largely unknown since there is no legal requirement to report these cases to that registry. This finding illustrates the need to understand the completeness of coverage of any proposed data source. Predictions of future trends in pleural mesothelioma in France, the United Kingdom, and The Netherlands were presented at the meeting. In general, the predictions foresee a peak in mesothelioma deaths somewhere between 2010 and 2040, several decades after asbestos use was curtailed. In The Netherlands (Burdorf), it is predicted that a peak in pleural mesothelioma deaths will occur around 2025 with about 950 deaths per year and that the total burden in the next 35 years will be close to 23 000 deaths. A striking association was observed between the birth-cohort-specific risk and the import of raw asbestos 30 years earlier. In France (Gilg), a similar age-cohort model suggested a peak of about 1500 deaths per year around 2030. It was shown that different assumptions about the magnitude of the (yet unknown) cohort-specific risks among people born after 1953 resulted in projections of a peak varying between 900 and 2200 pleural mesothelioma deaths. Hodgson (United Kingdom) presented an update of a previous analysis (1): the adjustment for the most likely demographic development increased the peak of annual deaths from the previously estimated 3300 to 4000. The comparability of the prediction models was discussed. In the Dutch model the demographic developments were taken into account and the shift in the next few decades towards older age groups increased the estimated pleural mesothelioma mortality considerably. The issue was raised of whether it is possible to include exposure information in the prediction models. Banaei developed an exposure-driven model for France by defining the risk of mesothelioma as a function of age at the start of exposure, mean level of exposure, duration of exposure, and latency period. This model arrived at an estimated peak of 800-1200 around 2020, but uncertainties in the predictions were large. A sensitivity analysis demonstrated that changes in the underlying assumptions of the model could halve or double the number of deaths at the peak. Hodgson (United Kingdom) used the observed mortality by birth cohort and age group together with an assumed family of exposure response relationships to "predict" retrospectively the population pattern of asbestos exposure in the past. The modeling suggested that the peak exposure occurred in the mid-1960s. Assuming a continuation of this decline suggested a peak in annual deaths of 2600 occurring around the year 2020, a substantial lower projection than the updated estimate of 4000 deaths in 2025. In addition, this presentation made it clear that unverifiable model assumptions have a great impact on the outcome of projections. There is a clear need to study variations in pleural mesothelioma mortality across European countries. Various factors that contribute to the explanation of the observed trends over time have been identified, such as the amount of raw asbestos used, the size and type of asbestos industry, the nature and magnitude of the population at risk, the occupational health regulations with regard to asbestos, and the diagnostic and coding procedures. Insight into these factors can only be achieved by international comparisons. When the explanatory factors for current mortality patterns have been sufficiently established, this knowledge may be put to use to project future trends in asbestos-related diseases, especially pleural mesothelioma. Predictions that provide a quantitative insight into developments of asbestos-related mortality will influence public health policies. Reports were presented on 5 case-referent studies which have recently been completed, are currently in progress, or are being planned in various European countries. The main features are summarized in table 1. While 3 of these studies address etiologic questions using standard epidemiologic tools (eg, use of a detailed occupational questionnaire interpreted by local experts to derive semi-quantitative estimates of exposure to asbestos and other agents), the remaining 2 have different aims and therefore different designs. One addresses the distribution of occupations among young patients with mesothelioma and the other is aimed at comparing the asbestos fiber burden of the lungs for cases of mesothelioma, cases of lung cancer and other deceased persons. Given the heterogeneity of the objectives and study designs, any effort to combine the results of these studies does not seem justified at this stage. In the discussion there was agreement on the importance of investigating risk factors other than asbestos. Apart from the different questions presented in each study, the choice between the different methodologies depends also on the weight given to possible sources of bias in studies based on questionnaires. These biases can be classified into the following 3 categories (3): recall bias (cases of mesothelioma may provide more precise and valid information regarding their past exposure to asbestos, even at the level of job title and industry of employment), diagnostic bias (subjects exposed to asbestos may be less likely to suffer from the misclassification of mesothelioma diagnosis than unexposed subjects), and exposure assessor bias (quantitative exposure estimates based on the assessment of occupational history may lead to an overestimation of dose-responses because of an underestimation of past level of exposure). These are potentially important biases in questionnaire-based case-referent studies, but data on their presence and extent are limited (4). The need for further studies based on the asbestos fiber burden of the lungs was discussed at length. No consensus was reached on this issue: some participants felt that enough investigations have been conducted already and that future projects should focus on very specific questions (eg, risk among young cases, with little or no exposure to amphiboles). Most participants agreed however that further studies based on the quantitative determination of fibers in lung tissue would provide very important information on the assessment of risk from exposure to different types of asbestos fibers and would contribute to the understanding of asbestos carcinogenesis. The projection of future trends in mesothelioma incidence or mortality depends critically on the trends in the past. In order to provide sufficient data for the estimation of trends, investigators use data spanning at least 15 to 25 years. The validity of the observed trends over these time periods depends on the consistency over time in the false positive and false negative rates for diagnosing and reporting mesothelioma. In fact, errors can occur at several stages in the process: at the clinical level, the pathologist level, and the level of registering and coding. Errors can go in either direction, creating false positives or false negatives. In order for the observed time trend to reflect the true time trend in the incidence of mesothelioma, it would be necessary that the net effect of false positive and false negative diagnoses be similar throughout the time periods for which data are being modeled. Given the historic controversy and difficulties surrounding the diagnosis of mesothelioma, there are legitimate reasons to doubt whether the net effect of the various errors has been constant. Unfortunately, very few empirical data on trends in errors are available. Rudd, Case and Galateau highlighted the opportunity for clinical and pathological errors and the possible evolution over time. Since the 1960s mesothelioma has progressively become better known in the medical community and thus the willingness of a clinician to investigate a diagnosis of mesothelioma may have increased. The enthusiasm of physicians to undertake a biopsy for a basically inoperable tumor may have also been lower in earlier years. The sensitivity of the diagnosis may vary according to type of imaging technique available and type of biopsy, both of which have evolved over the past 30 years. Autopsy rates have been changing in some countries, and this change can be another reason for changing error rates in mesothelioma diagnoses. Rather dramatic changes have occurred in the pathologic techniques available for the diagnosis of mesothelioma, including electron microscopy, immunohistochemistry, and a greater range of immunocytochemical markers. These, as well as a greater awareness of mesothelioma among pathologists, would have served to decrease errors over time. Another area which would have led to errors is the registration and coding of causes of death. Mesothelioma has not been a straightforward entity to code given the available categories of the ICD and the vagaries of how mesothelioma has been labeled. While there is little direct empiric evidence on the possible biases in trends due to changing diagnostic habits, a reassuring finding from the French Network of Cancer Registries showed that, during 1979-1990, the trends in mesothelioma incidence rates were similar in different regions of France (5), whereas the use of some of the new diagnostic techniques has been introduced at different times in the different regions. Although these various changes in knowledge, techniques, and habits may have had a significant impact on observed trends in mesothelioma, few data are available to quantify such effects. Furthermore, it is likely that the various changes were not synchronous in different countries. The analysis and interpretation of time trends in mesothelioma should take these possible biases into account. Epidemiologic studies on asbestos have concentrated on the evaluation of the causal association with lung cancer and other lung diseases. Scant data are available on the impact of the cessation of exposure to asbestos on subsequent fall-off in the risk of asbestos-related cancer. In the absence of direct epidemiologic evidence on risk by time since ending exposure, the main problem is the lack of understanding of the mechanism of carcinogenicity of asbestos fibers and of the effect of long-term biopersistence of asbestos fibers in the lung. The study of the pattern of risk after the cessation of exposure is important for the following reasons: In many countries a large number of individuals has been exposed to asbestos. They represent a group at high cancer risk, and in several countries they have been a target for actions aimed at reducing the burden of cancer occurring in the population at large. Asbestos-exposed workers have been the target of studies of the effectiveness of screening programs for lung cancer, mainly based on lung X-rays (6), and on the effectiveness of chemopreventive agents such as b-carotene (7). Neither approach has resulted so far in positive results. Large cohorts of asbestos workers have been enumerated. In several instances, the exposure to asbestos ceased after workers left employment, and data are available on smoking habits and on the prevalence of lung fibrosis. As for other carcinogens such as tobacco smoke, the analysis of the pattern of cancer risk after the cessation of exposure would provide information on the mechanism of asbestos carcinogenesis (eg, early versus late stage effects). It is important for the prediction of asbestos-related diseases in the population at large, especially in countries where the exposure to asbestos has ceased. Industry and population-based systems of surveillance have been set up for asbestos exposure in some countries (8). These surveillance systems have various objectives: promoting primary prevention in the workplace, increasing the recognition of asbestos-related diseases, assessing the effects of primary and secondary prevention programs (medical follow-up, smoking cessation, chemoprevention), evaluating the changes in risk after the lowering or cessation of exposure to asbestos, analyzing the risks potentially associated with low occupational and environmental levels of exposure to asbestos. While such surveillance programs are of prominent importance from both the scientific and public health point of view, they are only few, and they are usually not formalized and highly variable in their objectives, organization, and methods. In some western European countries, on-going programs involve several thousands of workers. Five main topics were identified for future collaborative research at the European level: analysis of past and future trends of pleural cancer mortality at national levels; studies of lung fiber burden; methodological issues in case-referent studies; population-based surveillance systems of asbestos-exposed workers; and assessment of risk after the cessation of asbestos exposure. Analysis of past and future trends of pleural cancer mortality at national levels. The meeting participants considered that collaboration among different groups would be particularly useful on a few specific topics: Choice of the modeling approach: most of the prediction exercises are based on the modeling of past mortality. An alternative approach would be to use past exposure data derived from asbestos import figures or from individual exposure histories collected in population-based case-referent studies. Assessing the validity of predictions: while it is intrinsically impossible to validate the predictions of future trends formally, some evaluation can be derived from comparisons of different modeling techniques, sensitivity analyses, and international comparisons. Analysis of changes in diagnosis and reporting: national studies and international comparisons of diagnosis trends and coding practices are needed to understand the past, current and future trends in pleural cancer mortality better. Studies of lung fiber burden. An additional area in which international collaborative studies will be useful is represented by the lung fiber burden. Although several studies have been conducted [see the review by Stayner et al. (9)], the available results are difficult to compare, mainly because of the limitations in the statistical analyses and the presentations of the results, which are justified by the small size of each individual study. Despite the difficulties due to differences in several aspects of the design of these studies (choice of controls, methods for counting fibers), an analysis based on pooled data might considerably contribute to the current knowledge of the quantitative relationship between asbestos exposure and cancer risk and to the understanding of asbestos-related carcinogenesis. Methodological issues in case-referent studies. Researchers have to face some major methodological issues when conducting and interpreting case-referent studies, as specific biases may occur (3). Given the paucity of empirical evidence, further international studies in this domain would be extremely useful: Diagnostic bias: as mesothelioma is widely known as an asbestos-related disease, one might expect a better recognition of this tumor when physicians are aware that the patient had had asbestos-related jobs during his career that could result in nonrandom misdiagnoses with respect to asbestos exposure. However, it is clear that some physicians do not pay enough attention to the employment conditions of their patients, and this lack of attention would counterbalance a potential diagnosis bias. The magnitude of these 2 opposite phenomena have not yet been analyzed, and they deserve specific efforts. The fact that they may well vary widely among different countries is an additional reason to develop international collaboration. Information bias: another problem may arise from the fact that mesothelioma is a known asbestos-related disease. It is highly probable that interviewers and patients themselves (and their relatives) pay more attention to asbestos exposure for cases than for referents, the result being an overestimation of the risks associated with asbestos exposure. Such an occurrence could affect not only the levels of estimated exposures, but also the ways of collecting occupational histories, and hence the use of subject-independent exposure assessment techniques (blind expert review, job-exposure matrix) could also be biased. Common efforts to evaluate the resulting potential biases are needed, for instance, systematic comparisons of occupational and exposure data from different sources. Exposure assessment bias: it is well known that the retrospective assessment of exposure is a difficult task, especially in view of the quantification of past exposures (10). Systematic over- and underassessment results in biased estimates of risks. This point is of particular importance when the potential effects of "low" exposure to asbestos are analyzed. Major efforts must be made to improve and standardize retrospective exposure assessment techniques through the systematic exchange of data and material among hygienists, the reanalysis of occupational and exposure data, and the systematic use of measurement and biometrologic data. Cancer risk after the cessation of asbestos exposure.  An effort should be made to study available cohorts of asbestos-exposed workers further and combine comparable cohorts of asbestos workers whose exposure has ceased, and to study the pattern of risk over time. Whenever possible, such analyses should take into account information on smoking lung fibrosis and type of asbestos used. The pattern of risk after the cessation of exposure should be studied in surveillance programs of asbestos workers for whom data have been obtained on smoking habits and lung fibrosis. Surveillance systems. Significant progress could be made by sharing experiences and results systematically and by developing evaluation programs linked to the surveillance systems. These programs should be enlarged to include counseling on smoking cessation and dietary habits. An effort should be made to obtain information on the vital status of those not attending the program.